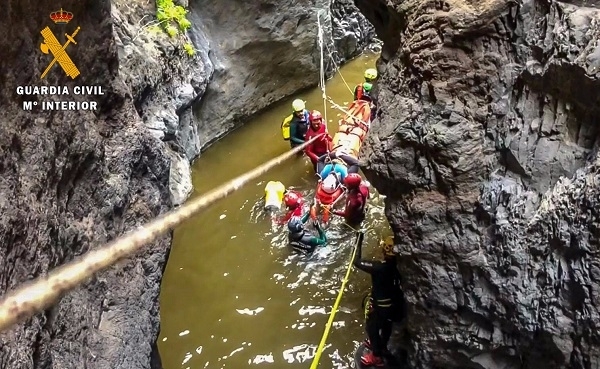 Last Saturday, at around 2pm, a rescue operation began at the Barranco Los Carrizales in Buenavista del Norte, after a man had slipped and fallen into the gorge. He had suffered a fracture of the tibia and fibula during a collision with a rock, and was in a place which was difficult to access. To make matters worse, a rescue from the air was impossible due to violent gusts of wind. 05.11.2018 - Firefighters therefore spent the night with the injured man in the gorge and resumed the rescue operation the next day. Only after they had fought their way through the gorge to the coast could the man be put on a boat and taken to Los Gigantes, where he received immediate medical help. Produced with news.CMS in 0,0644 seconds.